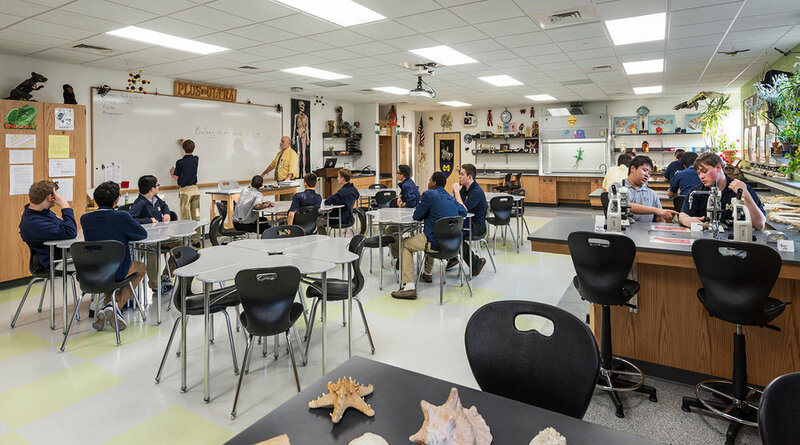 Since developing the Malden Catholic High School's (MCHS) master plan in 2001, MDS has supported the school in implementing a range of improvements to its athletic facilities. Renovations to the Doherty Gymnasium provided comprehensive interior improvements with new motorized bleachers, resilient gym flooring, lighting, and interior finishes. Subsequent phases upgraded locker rooms, weight training and conditioning facilities, and integrated fire protection and other building systems upgrades.